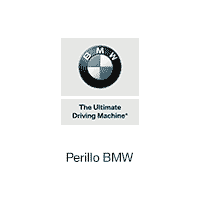 At Perillo BMW, we make it easy for Chicago drivers to budget for their next BMW. Whether you’re eyeing a new BMW X5, a new 5-Series, or a Certified Pre-Owned BMW, simply input the numbers into our monthly payment calculator and start planning for your next ride — don’t forget to value your trade-in. Now that you have a car loan estimate, you might have some questions — and that’s normal. Our finance team can help. In the meantime, we have a huge selection of new BMW models, used vehicles, and CPO cars and crossovers to choose from. Browse our inventory, and contact us if you have any questions or want to schedule a test drive.